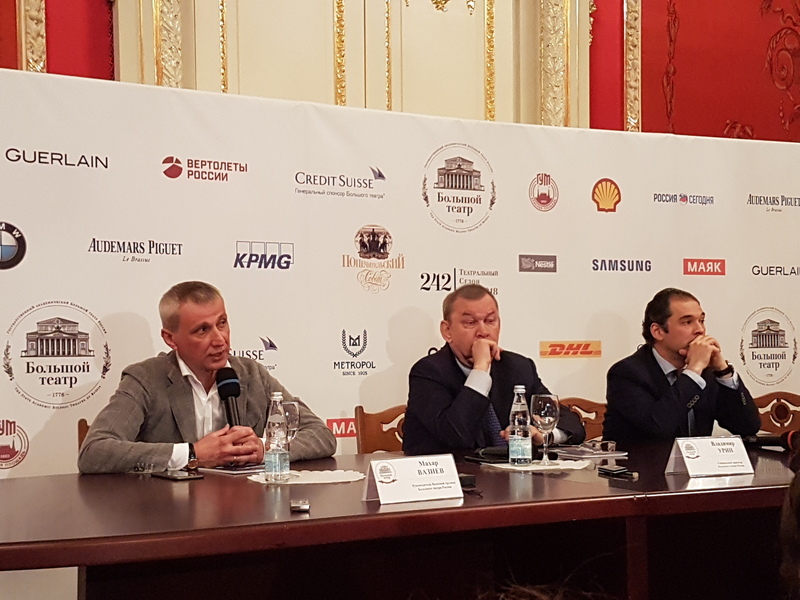 On 25 May the Bolshoi Theatre held a press conference announcing its plans for the upcoming 2017-2018 season which will be its 242nd season. -an evening dedicated to Marius Petipa with a three-act evening with works by Ratmansky, Burlaka, and Vikarev (summer 2018). There will also be two gala concerts featuring international guest stars dedicated to Petipa in the spring.